Jameela Jamil doesn't hold anything back when it comes to body-shaming, and abuse in the entertainment industry. She has become renowned for her comments blasting the Kardashians for endorsing weight-loss products, and also is on a campaign attempting to ban airbrushing and photoshop. 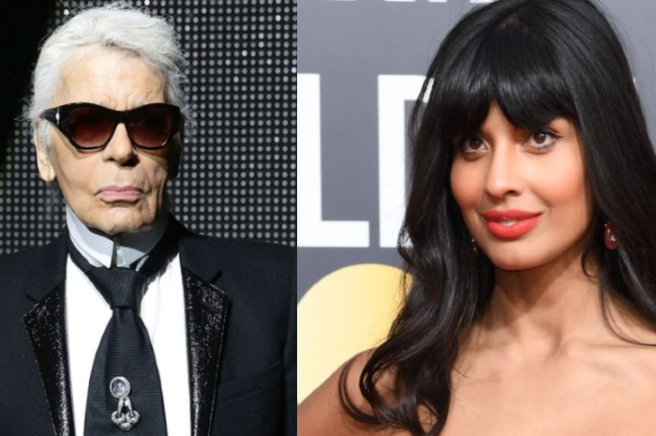 The Good Place actress has now opened up about her feelings regarding designer Karl Lagerfeld, who passed away yesterday aged 85. Jamil re-tweeted an article entitled Stop Mourning Oppressors: Anti-Condolences for Karl Lagerfeld by Lara Witt, expressing disdain for those who are sharing grief about the controversial designer. "I’m glad somebody said it. Even if it is a little soon. A ruthless, fat-phobic misogynist shouldn’t be posted all over the internet as a saint gone-too-soon. Talented for sure, but not the best person," she wrote. Chanel confirmed yesterday that the iconic German visionary had died. Lagerfeld worked as creative director of Fendi, Chanel and K by Karl Lagerfeld simultaneously until his death. Lagerfeld was renowned globally for his acerbic wit, though some of his comments embroiled him in controversies, particularly those involving weight loss and #MeToo. Of Princess Diana, he said in a 2006 interview; “She was pretty and she was sweet, but she was stupid." As if that wasn't bad enough, he then got political. Two years ago on a French TV show, he blamed German Chancellor Angela Merkel for the migrant crisis and invoked the Holocaust. He then targeted legendary actress Meryl Streep, claiming she had specially ordered a Chanel dress to wear to the Oscars, but changed her mind when a different designer offered her a dress. Meryl completely disputes this, and Chanel doesn’t pay actresses to wear their fashions on the red carpet, despite the fact that many designers in the industry do. When he was asked about Streep, he said, “A genius actress, but cheapness also, no?” Meryl responded, saying; "Karl Lagerfeld, a prominent designer, defamed me, my stylist, and the illustrious designer whose dress I chose to wear, in an important industry publication. "That publication printed this defamation, unchecked." Don't hold back, gal. Lagerfeld also told a German magazine that he will only hire thin models for his runway shows because “no one wants to see curvy women”. Jameela Jamil's reponse to his death has caused some social media users to claim she has a lack of respect for the dead and condemned him too quickly. “Regardless if your opinion is right or wrong, a lot of people seem to have liked and respected this person. Do you think it would be more respectful to voice your opinion after hes been mourned by friends and family?” wrote another user. She wrote, "Gonna write an essay about this instead of trying to put my thoughts on this into a tweet. How problematic the industry has been for girls is too complex for this." We look forward to reading this essay, as the issue is definitely a complicated one. Do you agree with Jameela, or think it was too soon? Men, move over – the top 40 most powerful women in the music industry have been unleashed and we ARE feeling it. It's been a big year for music and women, particularly in Hollywood with all the social movements. Now this year’s Woman’s Hour Power List has been published and it comes as no surprise that a familiar face topped the list. Our gal Beyonce napped top spot, with Tay-tay closely following behind and Adele sits comfortably at fourth place. 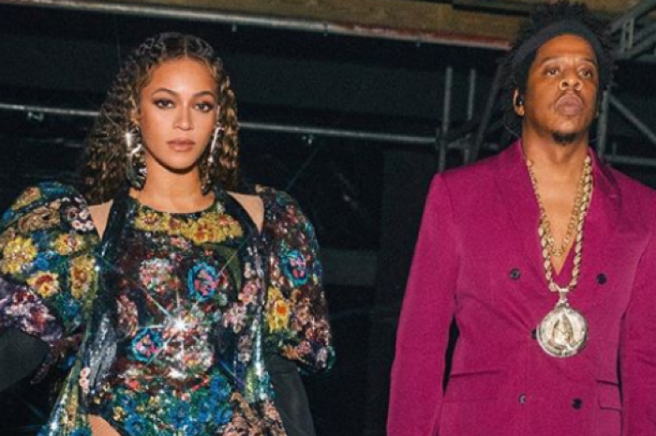 Bey secured number one as the judges said she has used her music and position of influence to bring “black politics, civil rights activism and feminism into the mainstream”. And honestly, no one will ever forget her UNREAL performance at Coachella this year, where she was the first black woman to headline the festival. – OWNING LIFE. Swifty snaked into second place as the judges praised her for being “unafraid to take on big brands and call out injustice” while “empowering” the youth of today to be “strong women”. – We knew you were trouble Tay, Tay, but in all the right ways. In third place, you mightn't have heard of her – but it should be known she's a badass boss lady. Vanessa Reed is chief executive of the PRS Foundation, an organisation that funds new music and talent development. The judges were highly impressed with her ability to get international festivals on board to pledge for gender parity. – As are we. 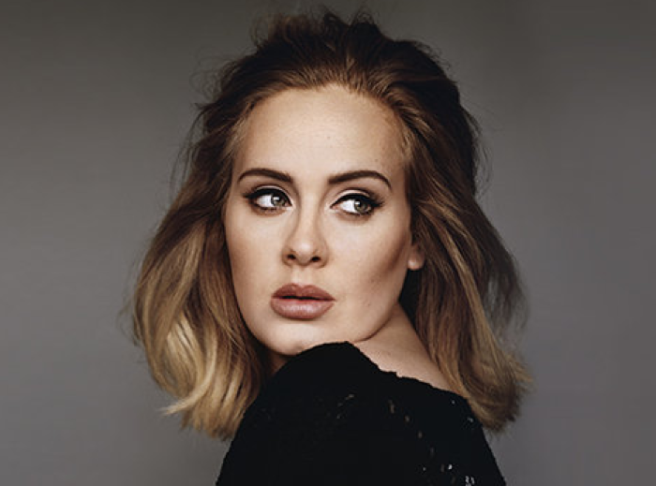 The incredibly talented singer and songwriter, Adele was put in fourth place. The BBC Radio Four list was judged by the likes of presenter Tina Daheley and TV producer Jasmine Dotiwala, classical music writer and novelist Jessica Duchen, UK producer of the year Catherine Marks and singer-songwriter Kate Nash. On BBC Music day, the list was announced during a special Women's Hour broadcast hosted by Dame Jenni Murray. The top ten also included Stacey Tang, managing director of record label RCA UK, in fifth place, and in sixth was Gillian Moore, director of music at Southbank Centre. Behind Gillian was Rebecca Allen, president of the record label, Decca Records. A conductor, Marin Alsop took eighth place. In ninth place was a musician and founder of the Chineke! orchestra, Chi-chi Nwanoku. Maggie Crowe, the director of events and charities at music industry body BPI, Administrator of the BRIT Trust finished off the top ten. We can all admit we’ve all had that moment where we had a good, long cry whilst listening to one of Adele’s songs. There have been many rainy mornings where we dramatically wept to Someone Like You, and plenty of nights out where we sang Hello into a wine bottle. Adele’s music has been the soundtrack to many women’s lives for years. We have been huge fans of the Grammy winner since she released her first album 19 all the way back in 2008. It’s been a decade since the Water Under The Bridge singer stormed the charts with her first album, but there’s no stopping Adele just yet. Rumour has it the singer is set to release a brand new album in 2019. According to reports, the Chasing Pavements songstress has been in talks with Sony about working on a new album. It is understood that Adele is hoping to head to the studio later this summer, where she will write a wave of chart-topping hits. The new album is rumoured to be released next Christmas. We are beyond excited. If anyone needs us we’ll be singing along to Make You Feel My Love for the foreseeable future. Adele celebrated her 30th birthday over the weekend and the Hello singer certainly went all out to mark the next chapter of her life. Taking to Instagram, the Grammy winner shared photos from her lavish party inspired by the 1997 film Titanic. 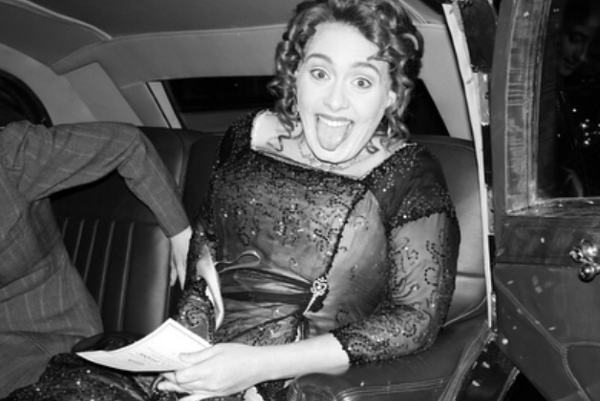 Adele dressed up as Kate Winslet’s character Rose for the event and her costume was simply incredible. In one snap, the Rolling In The Deep singer posed on top of a staircase which is identical to the one in the movie. She even donned a life-jacket, just like the ones in the film, as she danced with her friends. 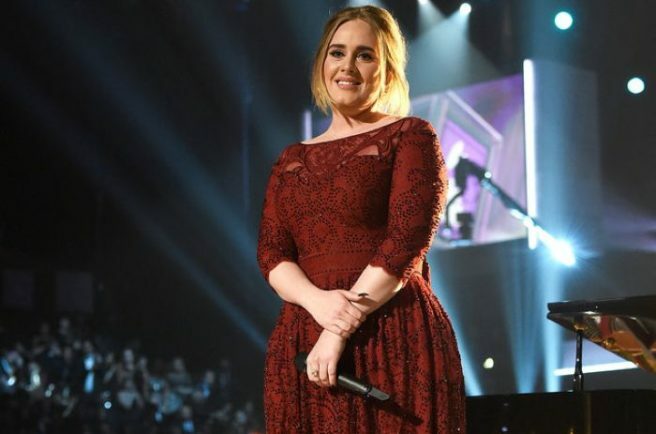 Adele was joined by her nearest and dearest, as well as a host of celebrity friends including Aaron Paul, Zane Lowe, Mark Ronson, Alan Carr and Sam Taylor-Johnson. 'My family and friends for entertaining my super fandom of the Titanic movie,” she continued. The Water Under The Bridge singer gushed about her party, “Last night was the best night of my life. Here’s a couple pics. I’m absolutely f**ked, not sure I’ll make it out the house again!,” she joked. 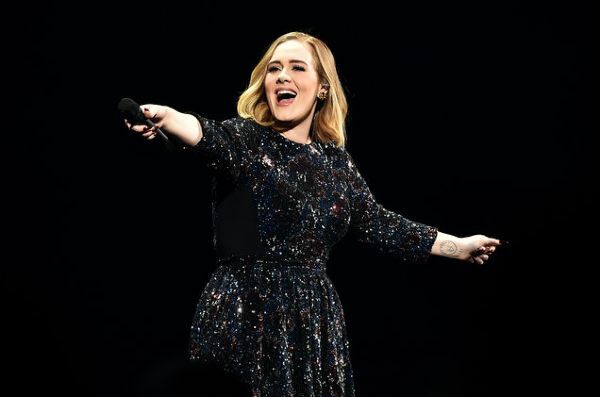 It's been almost ten years since Adele got her big break with debut album, 19 and since then, the singer-songwriter has gone from strength to strength. Every album has shot straight to the top of the charts and the now 29-year-old has travelled the globe, bringing live performance to her fans across the world. 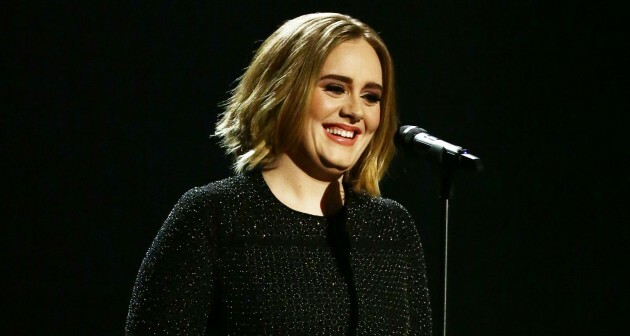 Adele has never been shy about her feelings around touring. “Touring isn’t something I’m good at… applause makes me feel a bit vulnerable. I don’t know if I will ever tour again." "The only reason I’ve toured is you. I’m not sure if touring is my bag,” she added. Kicking off the final shows of her current world tour at London's Wembley Stadium on Wednesday night, Adele reportedly slipped hand written notes into some of the tour programs. I've done 119 shows and these last 4 will take me up to 123, it has been hard out an absolute thrill and pleasure to have done. I only ever did this tour for you and to hopefully have an impact on you the way that some of my favourite artist have had on me live. And I wanted my final shows to be in London because I don't know if I'll ever tour again and so I want my last time to be at home. Thank you for coming, for all of your ridiculous love and kindness. I will remember all of this for the rest of my life. Love you. Goodnight for now." Last night was just the first of Adele's Wembley performances so it is still unclear as to whether she will make a formal announcement following the final show. We also don't know what this means for the future of Adele's music career. Could 25 be the last album from the London songstress? Adele made it her mission last night to help the residents of the horrific Grenfell Tower fire, which has so far claimed the lives of 12 people, with many more still missing. The Grammy Award winning star made an appearance at the 27-storey tower block last night. The star was there with her husband Simon Konecki, comforting and hugging those who needed help. 'Adele was going around and hugging everyone she could to comfort them,' an Adele fan account wrote on Twitter. Her appearance came less than 24 hours after a blaze destroyed the building. Other celebrities such as Jamie Oliver and Jeremy Clarkson have paid online tributes to victims of the tragic fire. Jamie Oliver invited the now-homeless residents to come to his restaurant for a comforting meal on the house. 'You are all welcome to come hang out in my restaurant and be fed and watered by my Jamies Italian team,' reads his Instagram post. 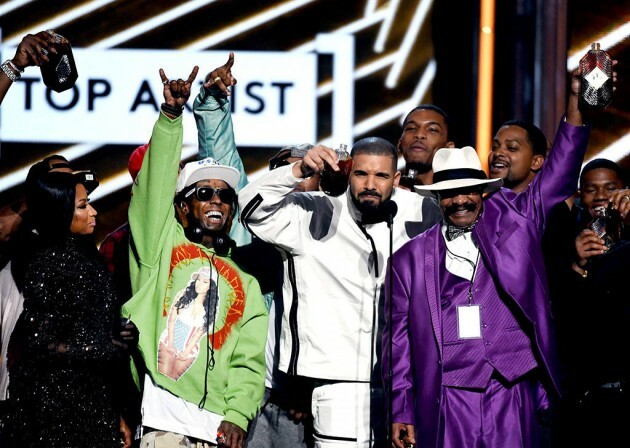 Drake was the big winner at the 2017 Billboard Music awards in Las Vegas last night. The Canadian star took home an incredible 13 trophies, setting a new record for the most awards claimed by one artist. 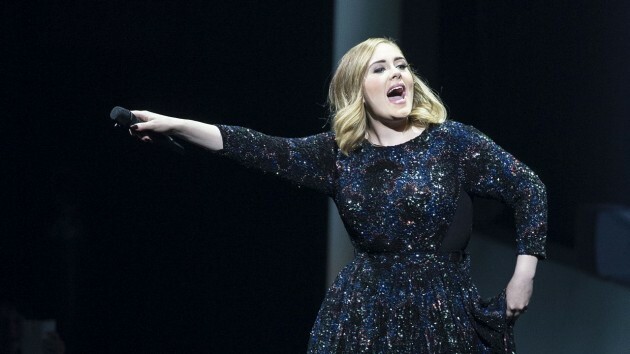 The record was previously held by Adele who went home with 12 prizes in 2012. The rapper walked away with a host of coveted titles including, Best Artist, Best Male Artist and Best Rapper. The top artist award was presented to the One Dance singer by Prince Michael Jackson, the son of the late singer. 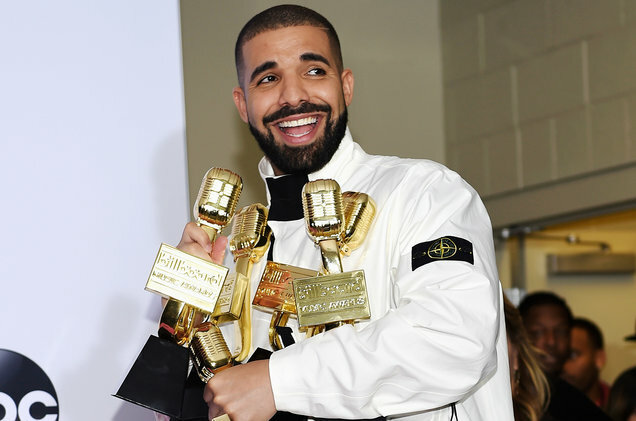 Upon accepting the award, Drake tipped his hat to Adele saying, "I just want to say hold tight Adele because when a new thing drops you will crawl your way back to get the record back." Other highlights of the night included a live performance from Cher who took to the stage in a diamond clad ensemble for an energetic rendition of hit singles Believe and If I Could Turn Back Time. There’s was a moment of silence for Audioslave and Soundgarden singer Chris Cornell, who sadly passed away last week at the age of 52. Miley Cyrus, John Legend, The Chainsmokers and Lorde also performed on the night. Adele has paid an on-stage tribute to the victims of the Westminster terror attack during her New Zealand gig. The talented songstress dedicated her song Make You Feel My Love to those who died in the tragedy. “Today there was a terror attack in my home town of London," the London-born star told her audience. “Literally I’m on the other side of the world, and I want them to see our lights, and to hear us, you know, we’re thinking of them." “It’s very strange not being home. All I want to do today is be at home and be with my friends and family." "Everyone’s fine but there are four people that aren’t fine" she said. “So let’s dedicate this to them tonight, and to my home town, which is my soulmate. This is Make You Feel My Love,” she finished, culminating the touching tribute with a song. Four people lost their lives in the attack. Eight people have been arrested in raids in London, Birmingham and elsewhere in connection with the attack in the British capital. When Adele sings, you stop and listen. And when she lets rip at you, you definitely take heed… as one security guard at her recent Melbourne show learned. In footage which is doing the rounds on Twitter today, the London-born singer interrupts her performance to tell a security guard to rein in the orders he was giving her audience. "Excuse me sir,” she said. “I know you work here but can you please stop telling people to sit down?" Reminding him that her fans were entitled to stand up and dance if they wanted, she added: "This is a music show, if people can’t see then they can stand up. And if you’re moaning about people dancing, then what the f*ck did you come to a show for?" "If I see one more person being told to sit down, then I swear to God…” she added as the crowd cheered her on. Unfortunately not everyone is with Adele on this one, with numerous Twitters users criticising the singer for unnecessarily embarrassing the guard. 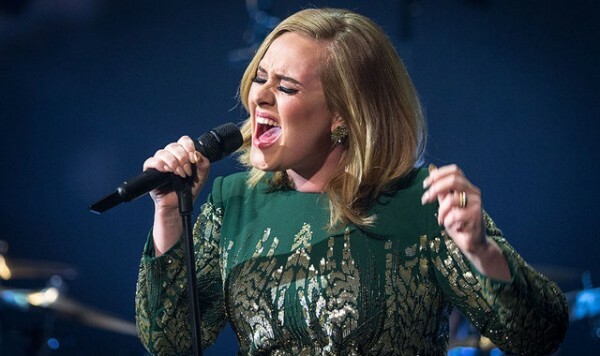 "Great to see #Adele belittling and embarrassing a security guard for just doing his job," wrote one. Adele just proved that even superstars get bothered by bugs from time to time. The Hello singer got into a bit of a flap during her concert in Brisbane, Australia, when a mosquito decided it had a hankering for her particular brand of O negative. The singer was clearly distressed by the bug invading her territory on stage, as she ducked and weaved away from its attack, flailed her arms and ran across the stage. "I'm sorry, I'm not Australian. I don't like bugs!" she told the audience frantically. "It was sucking my blood; it was sucking my blood!" Of course the audience found the whole thing hilarious, as did the singer once she had calmed down. The entire thing was caught on video, and it really is hilarious. She'll be a long time living this one down! The last time we were told Beyoncé deserved an award more than its recipient was when Kanye West relieved a stunned Taylor Swift of her MTV Moon Man back in 2009, and insisted the Single Ladies singer had been robbed of the accolade. Thankfully, this time around, the person doing the insisting was the same person who actually received the gong – the only and only Adele. After winning a Grammy for Album of the Year last night, the Londoner paid tribute to Beyoncé who shed tears from her seat in the audience as she listened to the When We Were Young singer gush over Lemonade. And while the vast majority of us celebrated Adele's unbridled adoration for Queen Bey, some corners of Twitter are a little more cynical. 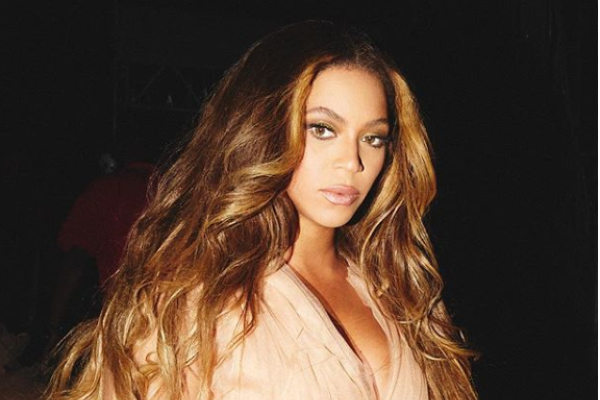 From suggesting Adele mentioned Beyoncé in order to avoid being considered racist (say what?) to others insisting Beyoncé didn't deserve the praise, not everyone was as impressed by the heartfelt speech as the rest of us. 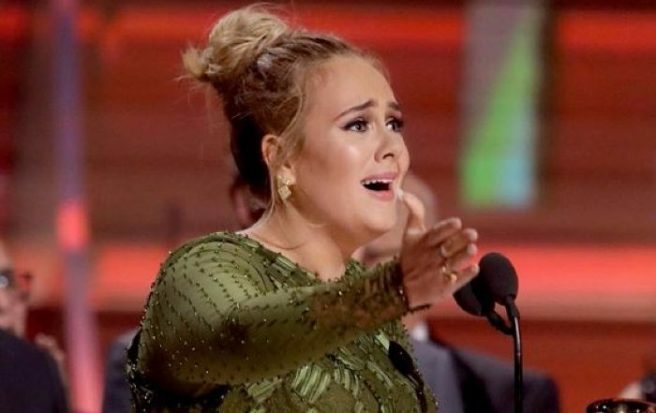 #Adele gave half of her Trophy to Beyonce as a participation Trophy. #Adele my concern is that Adele feels the need to genuflect to Beyonce. B's good but she ain't no Elvis! !